Dove Plastics was founded in 1988 and has established itself as a world class manufacturer of custom blow molded plastic parts and products used in the construction, packaging, recreation, novelty, home & garden, automotive and appliance industries. 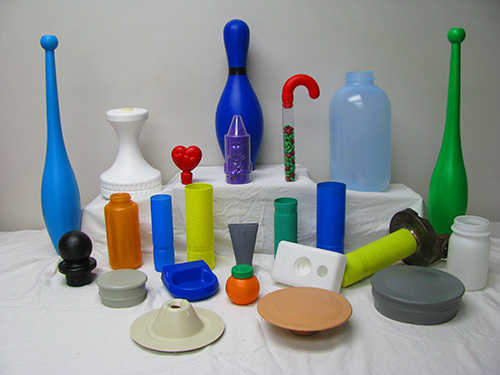 Dove Plastics has over 85 years of collective experience in plastic blow molding including mold and part design as well as post mold tooling design and building. Every part molded at Dove has some type of machining and finishing operation performed by our experienced operators. Dove Plastics has an in depth understanding of the entire plastics manufacturing process that includes custom design, tooling, molds, and manufacturing. Our commitment to the success of your project includes our strong leadership in the industry and our open communication process to coordinate the success of your project. Let Dove Plastics become an extension of your technical expertise! We at Dove Plastics have been serving our customers with world class design, and plastics manufacturing since 1988. Let Dove Plastics apply our expertise in custom design, tooling, manufacturing, and customer service to serve your plastics manufacturing needs. We have a deep understanding of the plastics design, tooling, and manufacturing process, and we can help you achieve success with your project goals. Our strong leadership in the extrusion blow molding industry, along with our clear and open communication process, has led us to a leadership position in the plastics industry. Our mission is to create a successful relationship with your engineers, designers, and product representatives, as we serve your product manufacturing needs. Our uncompromising dedication to quality, service, and excellence, has enabled Dove Plastics to lead the extrusion blow molding industry! Copyright © 2017-2019 Dove Plastics, Inc.